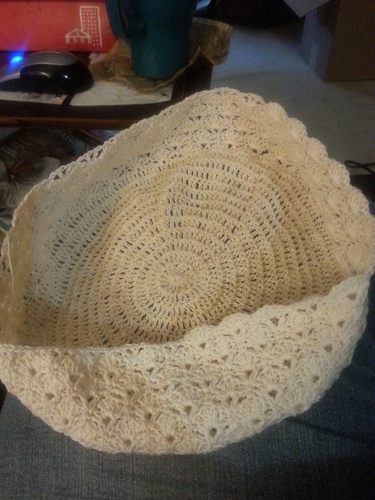 Pattern Name: "Beautiful Shell Summer Hat"
It is worked in the round without turning. 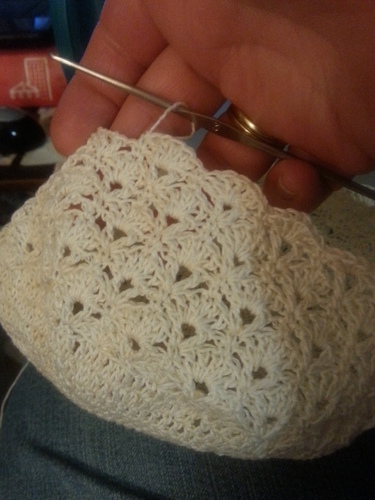 This pattern is for an adult sized hat, using crochet cotton thread #10 and a #3 or 2.1mm steel doily hook. It is worked in the round without turning.